Welcome to our wildlife research page. We’ve tailored our research programs to benefit our core operation areas and to match our expertise. Hopefully, your visit to these pages indicates your interest in both conservation and philanthropy. Please take the time to read about each of our research programs to find one that interests you and from which you see important benefits to the species it focuses on. Our hope is that donors will support not only the essence of our research but also the specific focus on their impact areas and species. If you have suggestions of other projects and that would fit with our philosophy and goals, please let us know. We are also ready, willing, and able to work with you on tailoring your donation(s) to best suit your donor ideals. Just click on an arrow below to find out more about our research pursuits and the history behind them. 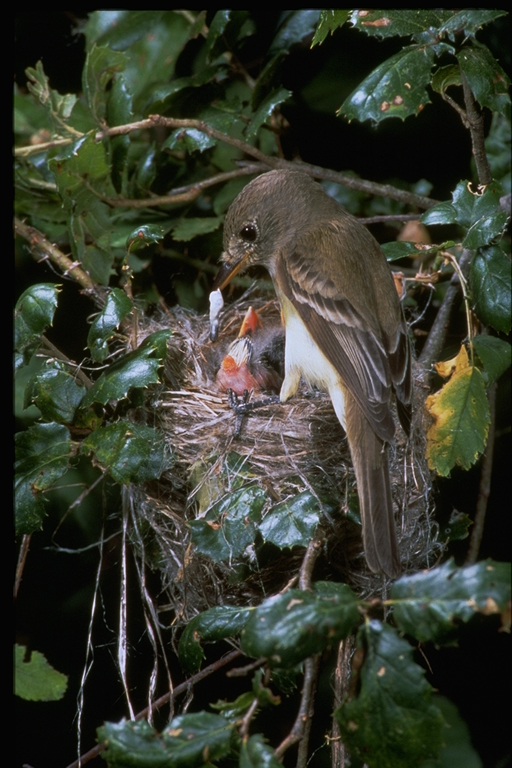 Our study of the Southwestern Willow Flycatcher (Empidonax traillii extimus, SWFL) is soon to enter its 21st year. The study has been funded solely by the principal investigator and the study data collected by a dedicated crew of highly qualified and motivated volunteers. The current status of the SWFL as one of the “most” endangered species in the United States – a combination of its low population numbers and extremely limited habitats (made worse, perhaps, by the effects of climate change) – makes it a prime candidate for extinction in the long-run and almost certain extirpation from most or all of its California range. A catastrophic (but highly probable) event such as wildfire or earthquake could decimate the largest and thus most viable meta-population of the species in the state of California – a population that occupies the area immediately downstream from a more than 100 year-old dam in northwestern San Diego County. This is the population that we have been studying since 1995. Analysis of the microhabitats of the annual territories where over time, SWFL pairs have ceased nesting. For a preliminary presentation of the data we’ve collected, see our PowerPoint presentation. With respect to study focus item #1, we will complete our field studies and begin in-depth analysis of over 14,000 data points that define mapped locations of banded male and female SWFL in terms of preferred perch height, preferred prey capture height, preference for sun or shade, and preferred resting height. To the point of focus item #2, we will attempt to visit all of the California sites where the SWFL has been documented as a breeder since 1990, focusing especially on an analysis of the micro-habitats that occur at each, especially the examination of the presence/absence status of the habitats favored by female SWFL and those preferred by males of the species. Our results may help to explain why virtually every habitat restoration or creation attempt in support of recovery of the SWFL, which is typically based on a very general riparian habitat model, has failed to foster a SWFL breeding population. What we have found so far is that restored or created habitats typically mimic the habits we’ve been finding to be characteristic of males only of the species. Our theory is that in failing to create the micro-habitats characteristic of SWFL females, those projects have failed not because of a lack of quality but due to a failure to address the species’ needs. Our findings may significantly alter recovery actions in a species that numbers fewer than 200 breeding pairs within the state of California. Furthermore, no current method of habitat creation or restoration has had a positive effect on the species’ numbers at any location within the state. In promoting the recovery of the SWFL, ranking only behind the California Condor and the Western Yellow-billed Cuckoo in terms of endangerment (that is; in having the lowest population numbers, severely limited range, and no naturally-occurring mechanism for recovery), our research has great promise to finally begin its road to recovery; first in the state of California and elsewhere that the model can be applied. The Western Spadefoot (Spea hammondii, SPHA) has become extirpated from most of southern California’s lowlands. Populations in northern California have suffered similar but possibly not so extensive declines. Habitat loss as well as fragmentation and degradation of habitat have contributed to declines in both areas. Fragmentation and consequent isolation also creates meta-populations that, although may not eliminate the species completely, may result in reduced or zero gene flow. Smaller cohorts are also more likely to become extirpated due to catastrophic events but may also succumb to stochastic episodes such as periods of drought or drought-like conditions. Compile a data base of historic occurrences from museum records. Document recorded living records (e.g., from agency reports, project documents, California Natural Diversity Data Base records, etc.) including our own ongoing survey data, separating these by decade in order to develop a dynamic image of changes in the species’ distribution over time. Create a comprehensive phenological description of the species with respect to rainfall pattern, temperature, and especially to document changes that may be related to climate change. Provide an archival server to house photo images of the species and the habitats in which they’ve been found. Disseminate information about the species through our Web portal. Initiate field studies to track Western Spadefoot movements from breeding sites into upland refugia. 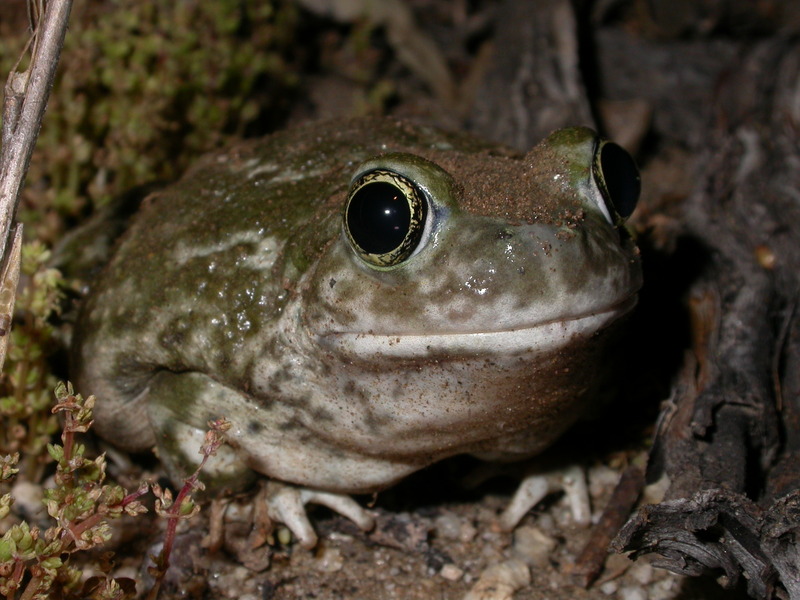 To find out more about the Western Spadefoot, visit our Western Spadefoot Project Web site. Declines in bat populations in North America could lead to agricultural losses estimated at more than $3.7 billion per year. Little is known about the bats of California’s Central Coast, especially their economic impact to agriculture as well as what measures can be taken to ensure their survivorship. We hope to add significantly to the understanding the interconnection between bats and agriculture. Our study has the potential to add substantially not only to the local knowledge bats and their benefits to agriculture but also the general body of knowledge about bats and their relation to agriculture throughout the United States. As the primary research project of the Pacific Coast Conservation Alliance (PCCA), a 501(c)(3) charitable science/educational organization, the Central Coast Bat Survey (CCBS) is also timely in that it dovetails with the U.S.D.A. Forest Service’s North American Bat Monitoring Program, which has been designed to promote effective conservation decision making and the long-term viability of bat populations across the continent. The CBBS will focus on the bats of the Central Coast using two of the program’s four approaches: mobile acoustic surveys along road transects, and acoustic surveys at stationary points along with several other sampling and monitoring techniques. PCCA’s bat monitoring program will investigate not only the occurrence and distribution of Central Coast bats but also the relationship between bats and diverse agricultural practices in the Central Coast region. Placing roost boxes for bats in and around vineyards can contribute to the sustainable management of pests (especially insects) and help mitigate habitat loss. Bat boxes (along with nest boxes; for example, those designed especially for barn owls) can help restore some level of biodiversity in the vineyard landscapes. From the grower’s standpoint, equally important is that bats that take up residence in vineyard-close bat boxes eat insects, which contributes to a reduced need for chemical-based pest control. 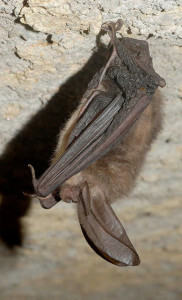 Although bats are known to eat codling moths (Cydia pomonella), installation of bat boxes alone is not going to fully control this pest species and certainly contribute to its biological control. And, of course, bats – especially when a suite of different species is present – eat not only a tremendous volume but also a wide variety of night-active insect pests. Some other strategies we can assist with, especially when given the opportunity to design a new vineyard or retrofit an existing vineyard are the maintenance or planting of vegetation corridors and stands of trees in the vicinity of vineyards (and orchards) in order to provide roosting sites for bats (and predatory birds such as hawks and owls). Solitary bats like the red, hoary, and silver-haired bats occupy tree branches and cavities and along with other bats species (for example, bachelor Yuma bats) may roost under tree bark during the day. To find out more about our programs visit the remainder of our Web site and please DONATE to support our long term research project, the Central Coast Bat Survey.